FaceTime, the video-chat functionality of the iPhone 4, just got a whole hell of a lot cooler. 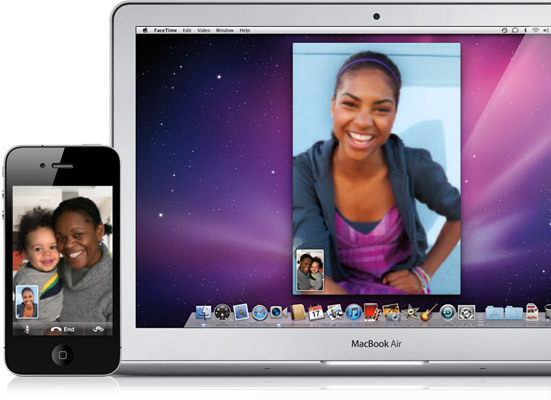 Last week, Apple announced that there is now a Mac utility for FaceTime, which allows you to video chat from any combination of Mac computers, iPhone 4s, and a new iPod Touch with camera. I’ve played with the functionality a little, and I can tell you, I’m awestruck. I seriously see this as the next evolution in personal communications. Now, naysayers out there will point out that this technology is nothing new. Front-facing cameras with video chat on smartphones were around before the iPhone 4 added it. Tons of chat applications sync in your webcam to add video to the chat. And who knows, maybe the new iPod Touch isn’t the first portable music player to have a camera with video chat capability on it. But by connecting the many people that have at least one of those three signature Apple products — a Mac computer with webcam, an iPhone 4, or a new iPod Touch with camera — the company has now built in a smooth integration of chat functionality across many different platforms. So c’mon, Mac friends… download the beta version of the Mac utility now and try to FaceTime to my iPhone number. Or try to FaceTime me at my email address from your iPhone 4. Either way, let’s play! This entry was posted on Sunday, October 24th, 2010 at 1:16 pm and is filed under Uncategorized. You can follow any responses to this entry through the RSS 2.0 feed. You can leave a response, or trackback from your own site.